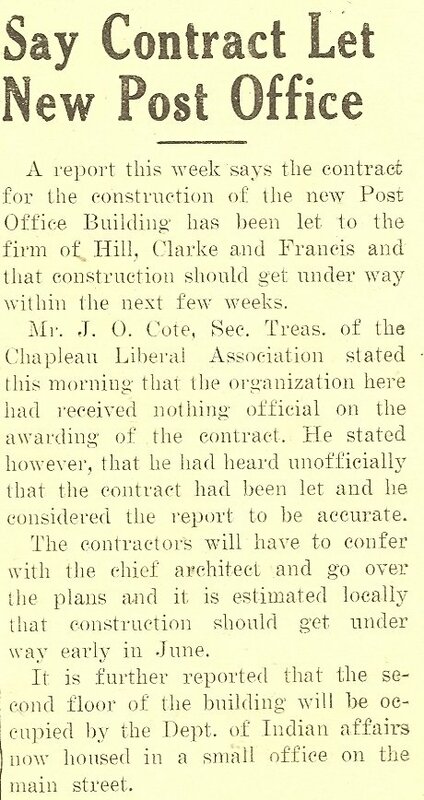 This post office story was published in the Chapleau Post May 5, 1949. Clipping made available by Doug Greig. 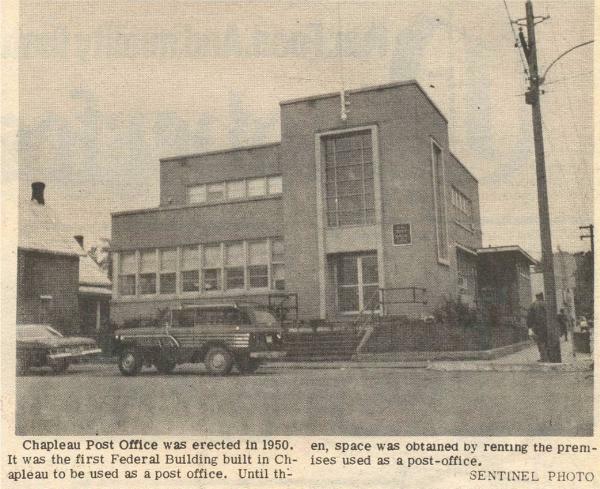 This Chapleau Post newspaper clipping is probably from 1950. 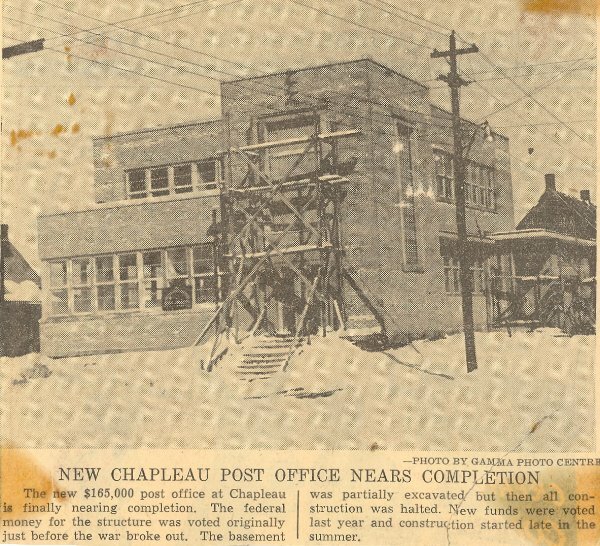 These three clippings are an article published in the Chapleau Post on March 9, 1950. 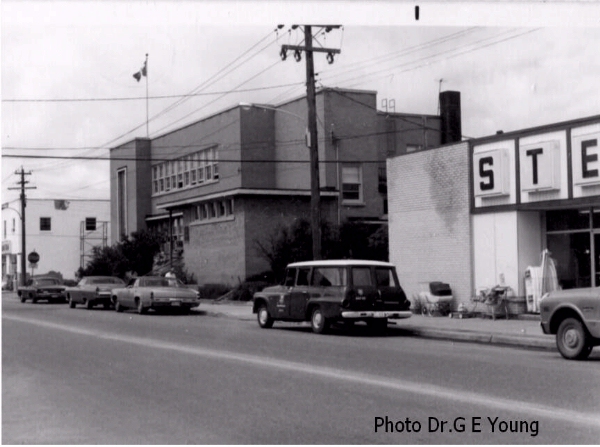 September 1958. Photo made available by Doug Greig. 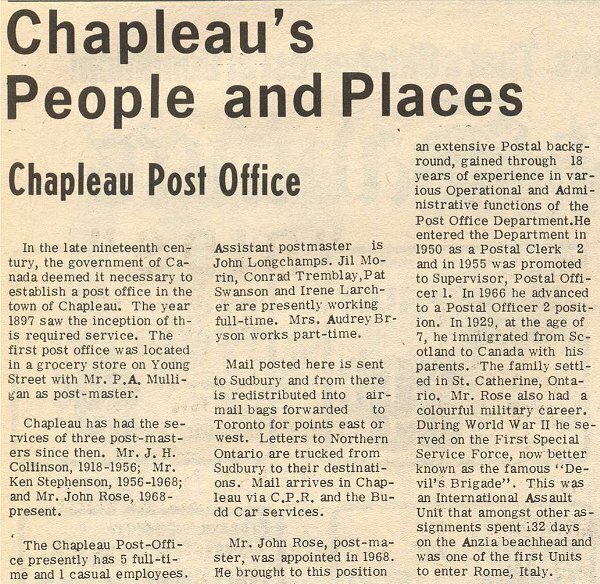 These two newspaper clippings are from a September 1977 copy of The Chapleau Sentinel, Chapleau's weekly newspaper of that period. 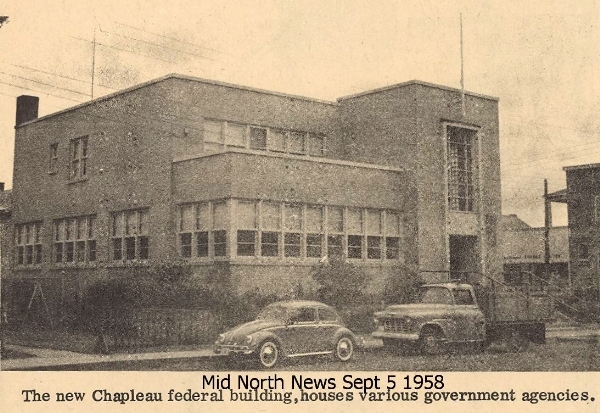 Note the original windows. This photo was made by Dr. G.E. (Ted) Young. The year is unknown. Photo made available by Doug Greig.